Honey chili tofu – Eat, Click, Travel and Repeat! Have you seen online videos of honey chili chicken recipes on social sites and wondered can it be done with tofu? Yes, exactly what I did. 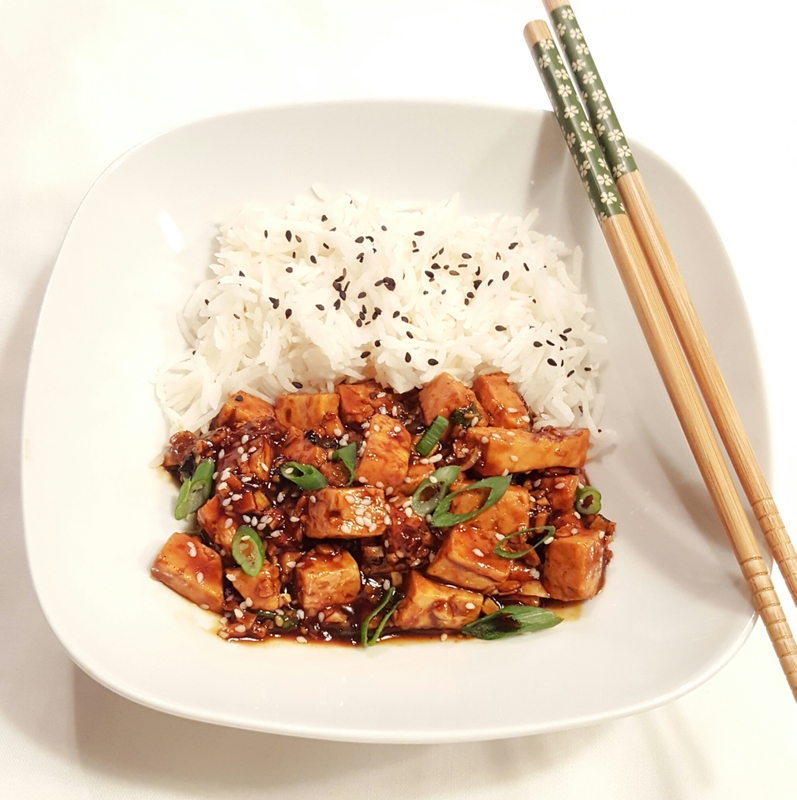 I just substituted protein from one of those recipes with the ingredients and things I had in hand to make a yummilicious, delicious and awesome honey chili tofu recipe. 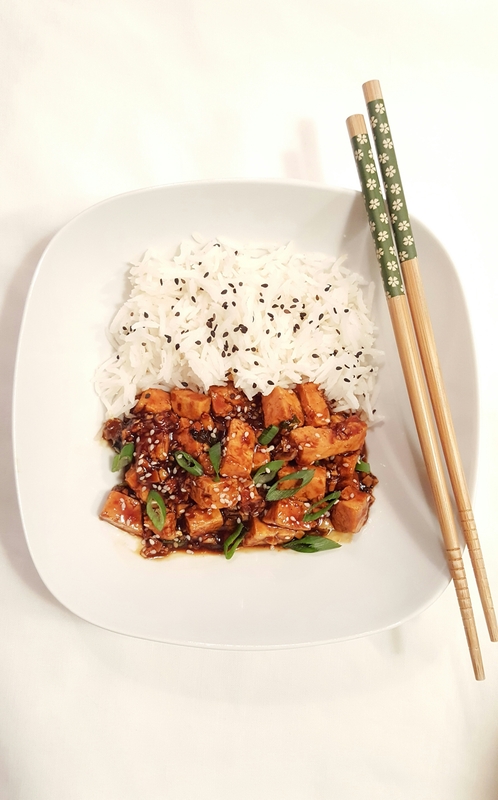 I found original honey chili chicken recipe on Slurrp website. I wondered what about us – Tofu eaters. I am sure, there must already be a paneer recipe available online for vegetarians (I am aware that many people do not fancy tofu). Please substitute it with protein of your choice. Actually, I made both honey chili chicken and honey chili tofu the same day. Both were equally good and delicious. I ate the tofu version with rice. First take a bowl and add tofu pieces in it. Add salt and pepper in it. Add corn starch and few drops of water. Coat the tofu with this mixture and set it aside. Take a second bowl, add all the ingredients of the gravy in it and mix it thoroughly. Once tofu pieces looks slight brown in color, add the contents from the gravy bowl in it. Mix and coat the tofu with this gravy. Cook it for a few minutes at medium heat by covering the pan. The gravy contents will start boiling. Add the sesame seeds and spring onion greens. Mix it thoroughly. There is ideally no need to add any more salt and pepper after this point. Serve it in a bowl with white sticky rice (if you have). I had cooked leftover basmati rice and hence I paired it with it. Of course, best would have been sticky rice, as it becomes so much easier to eat with chopsticks. Please try this recipe and let me know, how it turned to be? It’s actually super easy to make. There is hardly any complicated steps involved and tastes amazing!!!! 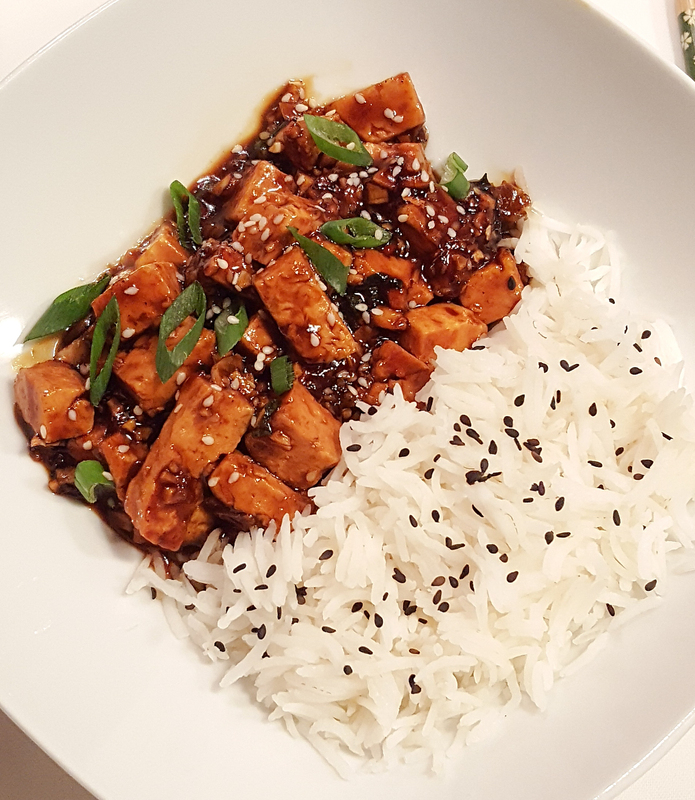 Pingback: Honey chilli chicken – Eat, click, travel and repeat!